brand spanking new boots or boots that are a little worn. i can't decide which i prefer ... visually. sometimes i like the look of a very worn boot. but never on me. i am wearing the anemone dress, the milan skirt and the delphi scarf by kaliyana. 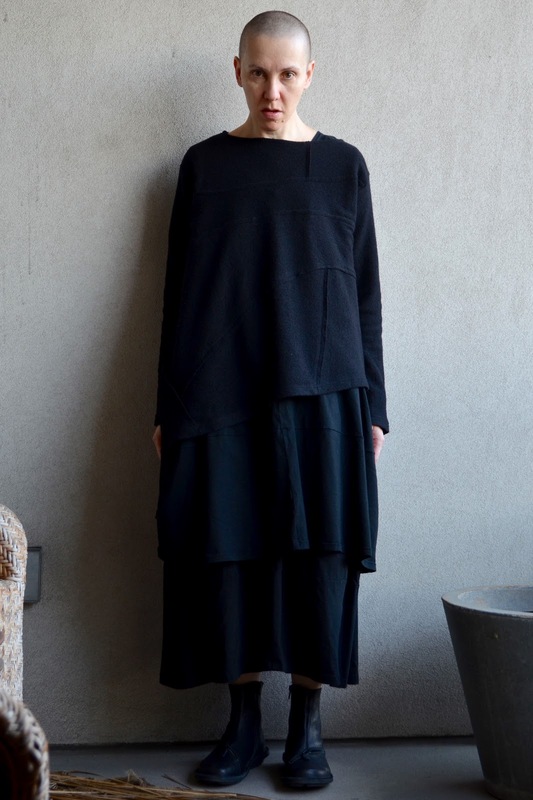 i am also wearing a pullover by moyuru. my boots are the pluto boot (closed collection) by trippen. 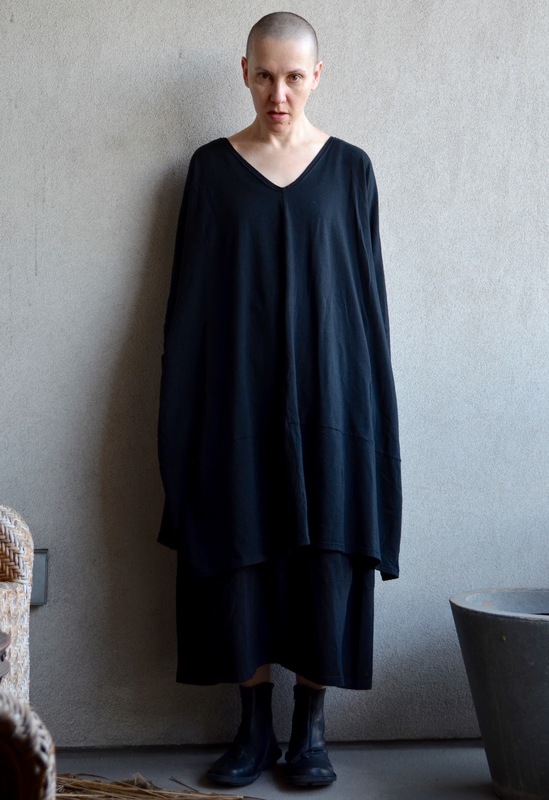 This tunic has a wonderful shape. I definitely feel like I need to polish my boots if they're looking very worn.